Narrow tag collars for sighthounds, walking collars for toy breeds & puppies. These collars are suitable for toy breeds and other breeds up to a 17" neck. They are great puppy collars and narrow tag collars for Sighthounds too. They are not wide enough for Sighthounds as a walking collar. 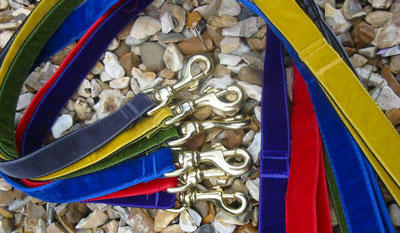 Martingale for Stighthound puppies, Italian Greyhounds or other toy breeds as a half check safety collar for walking. Side release or "clip apart" collars for all breeds.